2 timmar sittningstid tillämpas alla bokningar. Isterband, betor, savojkål, picklade senapsfrön. Råraka, enbärsgravad lax, pepparrot, gräslök. Räkor, sotad avocado, bakat ägg. Kummel, räkor, pepparrot, gravad äggula. Skomakarlåda, grillad biff, sotad purjolök, bacon. Sommargubbar, Hallands fläder, maräng, vaniljglass. Food was very good and the Restaurant is nuce, gut they are indeed very unfriendly! What a pity! Really cozy and nice place, great service and great food. Higly recommended!! 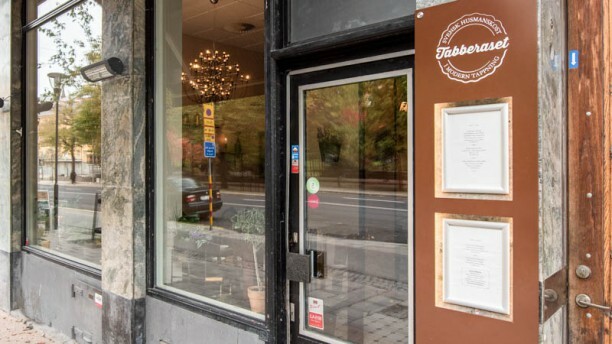 Creative swedish cuisine, must try ! Price ok, but too small portion. Service good. Real swedish ”tapas” and great service. A must if you’re into or wanna try Swedish husmanskost. A piece of Sweden. All things was very very good. From a warm welcome, the dishes, the atmosphere, to the service. I recommend it absolutely. They applied the fork discount. I’ll definitely come back here. Har ingenting dåligt att påpeka! Topnotch!